Long shut out of the country’s story, Middle Eastern Jews now make up half of Israel’s population, influencing its culture in surprising ways. Who are they? Yemenite Jews walking to Aden, the site of a transit camp, ahead of their emigration to Israel in 1949. Zoltan Kluger/Government Press Office. Matti Friedman is the author of a memoir about the Israeli war in Lebanon, Pumpkinflowers: A Soldier’s Story of a Forgotten War (2016). His new book, Spies of No Country: Secret Lives at the Birth of Israel (Algonquin) comes out in March. The story of Israel, as most people know it, is well trod—perhaps even tiresome by now. It begins with anti-Semitism in Europe and passes through Theodor Herzl, the Zionist pioneers, the kibbutz, socialism, the Holocaust, and the 1948 War of Independence. In the early decades of the return to Zion and the new state, the image of the Israeli was of a blond pioneer tilling the fields shirtless, or of an audience listening to Haydn in one of the new concert halls. Israel might have been located, for historical reasons, in the Middle East, but the new country was an outpost of Europe. Its story was a story about Europe. This story was a powerful one, and it has not changed much over the decades, certainly not in its English version. A recent example is Ari Shavit’s best-selling My Promised Land: The Triumph and Tragedy of Israel, in which the characters, with few exceptions, are the usual pioneers, Holocaust survivors, lovers of Europe spurned by Europe, devotees of classical music forced to become farmers and fighters, and their children and grandchildren: Ashkenazi Israelis like the author, and like me. Other actors are present onstage, but they are extras or props, not the stars. An earlier example of the form was Amos Elon’s richly told The Israelis: Founders and Sons (1971; reissued 1983), which purported to peer into the soul of the country but had scarcely a word to say about anyone not from Europe. Everyone knew who “the Israelis” really were. A confluence of interests has endeared this same narrative to Israel’s enemies, who have used it to increasing effect. In Israel, goes one variant of the story, Arabs were made to pay the price of a European problem. A less benign variant posits that Israel is not a solution to anyone’s suffering but instead a colonialist European state imposed by empowered Westerners upon a native Middle Eastern population: that blond pioneer is less a victim rebuilding himself as a free man or an agent of progress than he is a white Rhodesian rancher. It is 2014, and it should be clear to anyone on even passing terms with the actual country of Israel that all of this is absurd. Israel has existed for nearly seven decades and, like most things on earth, has turned into something that would have surprised the people who thought it up. Half of Israel’s Jews do not hail from Europe and are descendants of people who had little to do with Herzl, socialism, the kibbutz, or the Holocaust. These people require not the addition of a footnote, but a reframing of the story. Hard as this is for those of us whose minds were formed in the West, this means putting aside the European morality play that so many still see when they look at Israel, and instead viewing non-Europeans as main characters. In what follows I will not try to offer anything resembling a comprehensive history but only trace an alternative way of seeing things and point out what this might yield by way of insight into the life of the country that exists today. I’ll begin by introducing my friend Rafi Sutton. Opposite Rafi’s apartment in a middle-class neighborhood in Aleppo, Syria, was a delicatessen owned by a Jewish family named Mizreb. This was in 1947. The deli sold canned foods imported from abroad, preserved meats, pickled cucumbers made by the proprietor’s mother, and French baguette sandwiches. The Jewish geography of Aleppo was ancient: Jews had been praying at their Great Synagogue since the 5th century C.E., and the first known evidence of Jews in the city is seven centuries older than that. The community thus predated not only Islam but also Christianity and the destruction of the Second Temple in Jerusalem. 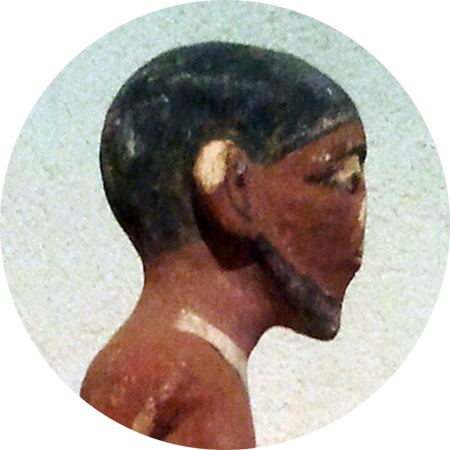 The Jews were the oldest of the city’s native sects. Mizreb’s delicatessen was a new addition to the geography, but an important one, or at least so it seemed to Rafi. If a young Jewish man wanted to treat his girlfriend in those days, he took her to the deli and bought her a baguette sandwich and a drink. Rafi was not yet old enough to do such things himself but he was, in the manner of fifteen-year-olds, attentive to them. On November 30, 1947, a Sunday, Rafi looked out at his street from between the slats of wooden shutters. The night before, he had listened on the family’s radio to the broadcast from the United Nations where delegates voted to partition Palestine into a state for Arabs and a state for Jews. Now Jewish stores were ablaze in Aleppo, and up the street were piles of Jewish books in flames; like the burning of books and smashing of glass nine years earlier, in colder cities, the smoke augured the end of a Jewish world. Bands of rioters incited by the press and the government roamed the neighborhood looking for Jewish homes and businesses. According to one contemporary report, the mob burned down 50 stores, 18 synagogues, five schools, the community’s orphanage, a youth club, and more than 150 homes. In the ancient Jewish quarter in the Old City, families huddled in basements, hid in the apartments of friendly Muslim or Christian neighbors, or—in the case of one boy I would interview as an elderly man decades later—jumped barefoot from a kitchen window ahead of a mob bursting through the front door and sprinted through the alleys to a chorus of Arabic jeers and breaking glass. A group of rioters gathered outside the storefront of Mizreb’s deli. Rafi could tell by their worn slacks and shoes that they were from the provinces or the city’s poorer quarters. They smashed the storefront, and two of the marauders ran across the street with an enormous jar of Mizreb’s famous pickled cucumbers. Sitting on the steps of Rafi’s building, they began to fight over the jar, tugging it back and forth until finally it fell to the ground and shattered, spilling the contents on the ground. This would be one of Rafi’s indelible memories of that day, a fifteen-year-old’s view of the beginning of the end. By the next day the community’s well-off families had fled. By the mid-1950s, of the 10,000 Jews in Aleppo in 1947, only 2,000 remained, mostly the poor. They were prisoners of the Syrian regime and its secret services, the mukhabarat. The Jews’ passports were stamped in red with the word mousawi, “Mosaic,” so that their movements could be more easily restricted. Travel between cities was forbidden except by special permission. Many university faculties were closed to Jews. 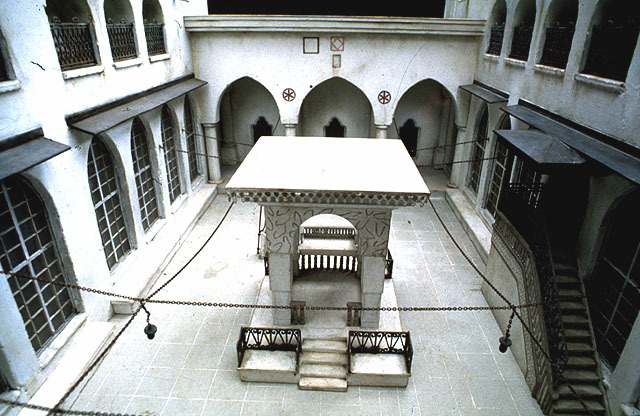 In the early 1990s, when the remaining members of the community were finally allowed to leave, they did so immediately, shuttering the Great Synagogue of Aleppo, the oldest functioning house of Jewish prayer in the world. By this time, Rafi was long gone. In 1949, two years after watching the riot through the shutters of his home, he escaped on a rickety boat that sailed from Lebanon and deposited him on a beach in the new state of Israel. My first intimate exposure to this history came in the course of writing about the Aleppo Codex, a manuscript of the Hebrew Bible guarded in that city for six centuries. That led me to Rafi, who became a character in my book. Prior to our long conversations, which still occur regularly, I might have thought of Jews like him as Sephardim, meaning Jews of mainly Spanish descent—but Jewish Aleppo and other eastern communities existed not only before the Jews were expelled from Spain in 1492 but before they arrived there in the first place. Or I might have thought of them as Jews of the Islamic world, which is not inaccurate but conceals its own slight, since Jews were in places like Aleppo at least a millennium before the birth of Islam. Jews of the Arab world, then? True of most of them—except that Jews had been living in Arab countries long before those countries were Arab. Let us call them, with apologies for the lack of geographical logic, Jews from the Middle East, stretching the term “Middle East” to include North Africa even though the “eastern” city of Casablanca is farther west than the “western” city of London. In the 1940s there were about 260,000 Jews living in Morocco, 140,000 in Algeria, 40,000 in Libya, 140,000 in Iraq, 80,000 in Egypt, 60,000 in Yemen, and many others in Arab countries and in non-Arab countries like Iran and Turkey. Most were Arabic-speaking, with minorities who spoke Persian, Kurdish, Turkish, and other languages. In all, there were nearly a million Jews living throughout the Middle East only 70 years ago, members of one of the region’s ancient native religious communities. Beginning in the mid-20th century they were forcibly displaced en masse, never to see their homes again. Most of them became concentrated in one minute slice of the region. There they developed the ability to defend themselves and have thus survived and thrived, unlike every other religious minority in this part of the world. In Israel they have become known collectively as Mizrahim, easterners, a generalization that incorporates people from vastly different countries and classes but sharing roots in the world of Islam and similar experiences after their arrival in Israel. (The other generalization is Ashkenazim, describing Jews from a multiplicity of backgrounds anywhere between Vilna and Vancouver.) At age seventeen, Rafi became one of these many hundreds of thousands. Joseph Intabi, the child who ran barefoot from his home in Aleppo’s old city, arrived in Israel at the same time. Batya Levi, the woman who lives in the apartment next to mine, arrived from Morocco. The parents or grandparents of half of the 20 families who live in our building in Jerusalem came from elsewhere in the Middle East. My brother-in-law’s family arrived from Oujda, on the Morocco-Algeria border, my sister-in-law’s family from Yarim, in the highlands of the Yemeni interior. Others came from hundreds of other cities, towns, and villages. Today, these Jews and their descendants can be said to make up, according to the Israeli demographer Sergio DellaPergola, 50 percent of Israel’s total Jewish population of just over six million, although the numbers are becoming significantly blurred by the kind of mixing evident in my own family. Fifty percent: this means that in 2014 their story is, as much as any other, the story of Israel. A few brief details about the past will be helpful before we return to the present. If one grows up immersed in the story of Ashkenazi Jewry, one might believe that upon being exiled from Jerusalem in 70 C.E., the Jews appeared in places like Lodz and Vilna and then shortly thereafter on New York’s Lower East Side. In fact, 1,000 years after the destruction of the Temple in Jerusalem, nine out of every ten Jews on earth still lived in the Middle East. By the 12th century, when the philosopher Moses Maimonides came to prominence in Cairo, Jews were taking root in Christian Europe, but the center was still very much in the Muslim-dominated Middle East. In this world, Jews were a second-class minority, afforded certain protections because they were monotheists but subject to a special tax and restrictions on housing and dress. The Muslim term for this status is dhimmi (now reportedly being resurrected and applied to Christians by the Islamist forces in control of parts of Syria). It has become something of a cliché that the pre-modern Islamic world was a place of kindness toward Jews—if not, indeed, of convivencia (coexistence), the term adopted by some to characterize what is known as the Golden Age of medieval Spain. This is fantasy. There were periods of relative ease, and there were periods of tyranny and violence. Maimonides himself was forced to flee Muslim persecution in Spain and is thought by some scholars to have lived for a time as a Muslim to save his own life before arriving in the relative safety of Cairo and openly reverting to Judaism. He remained preoccupied all his life with shielding his co-religionists from the seduction of voluntary conversion, and the threat of forced conversion, to Islam. By the 1800s, however, ideas of nationalism were beginning to change Europe, and they gradually began to affect the Middle East as well. In Europe these ideas led to the creation of political Zionism, which sought to protect Jews from the nationalism of others by giving them a national movement of their own. In the Middle East they led to the creation of Arab nationalism. Just as nationalism in places like Germany and France would come to exclude Jews, Arab nationalism did the same; and just as Jews in Europe would find their situation to be increasingly precarious, so did the Jews of the Middle East. 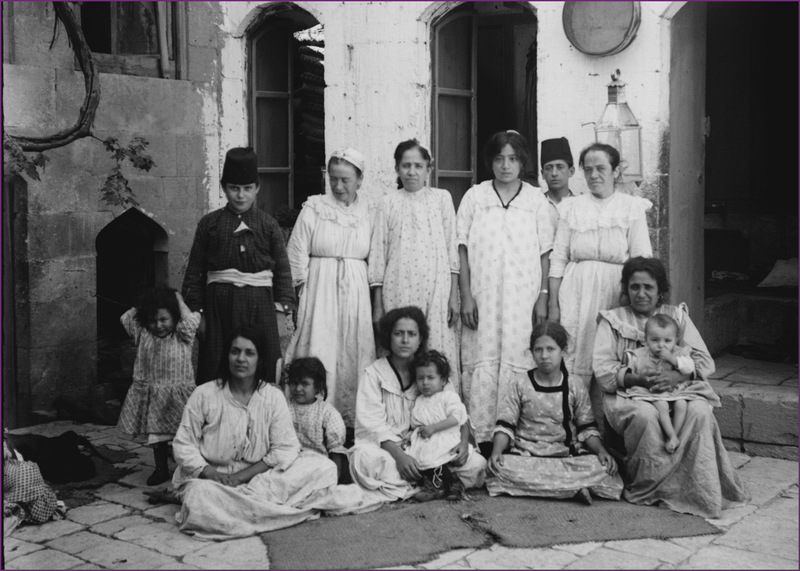 Because of poverty and uncertainty about the future, a Jewish exodus from the Middle East was under way by the time European Zionist pioneers began arriving in Palestine in earnest; by the 1920s there was already a thriving Aleppo Jewish diaspora in places like New York City and Manchester, England. As national movements grew in strength in Middle Eastern countries, the situation of Jews only worsened. Western-style hatreds became more evident. In 1925, a Lebanese Maronite priest translated The Protocols of the Elders of Zion into Arabic and the book found an enthusiastic audience that seems to have flagged little since then—I encountered it eight decades later in several respectable bookstores in Beirut. All of this goes to say that the appearance of Zionism did not create the persecution of Jews in Muslim lands—a common claim that at best, in the words of the historian Norman Stillman, amounts to a “gross oversimplification.” (The infamous blood libel of Damascus, to take just one example, occurred in 1840.) Rather, Zionism exacerbated a growing precariousness that, like Zionism itself, was a result of the advent of modernity and the rise of nationalism, and that appeared atop an older and more stable kind of discrimination. Zionism was founded by the Jews in northern Europe, and the Jews of Damascus are totally estranged from it. It is for this reason that we have come to declare by the present note to our Arab fellow citizens and to the members of the press our attitude vis-à-vis the Zionist question, and we ask them to differentiate between the European Zionists and the Jews who have been living for centuries in these lands. This would not save their community. By 1941, with the founding of the state of Israel still only barely imaginable, anti-Jewish sentiment became linked to the pro-Nazi posture assumed across the Arab world, manifesting itself in increasingly extreme acts of violence against Jews. The most notable instance among many was a Muslim pogrom that year in Baghdad. Known as the Farhud, the riot killed an estimated 180 people and did much to seal the fate of the Jewish community of Babylon—one that, like the community in Aleppo, predated Islam, Christianity, and the destruction of the Temple in Jerusalem. At the time, by some estimates, as many as a third of the residents of Baghdad were Jews. Most eventually escaped to Israel and made their new homes not all that far away from their old ones. Were there no borders, Baghdad would be a day’s drive from Jerusalem, and if one left Jerusalem early in the morning one could be in Aleppo by mid-afternoon. These Jews were, in other words, members of a persecuted minority who re-established themselves as free people in the Middle East after their displacement from elsewhere in the Middle East. They now lived alongside new arrivals from Europe and alongside people like Mazal Sides, my wife’s grandmother, who grew up speaking Ladino in the old pre-Zionist Jewish community of Jerusalem, in a family with roots in Hebron. 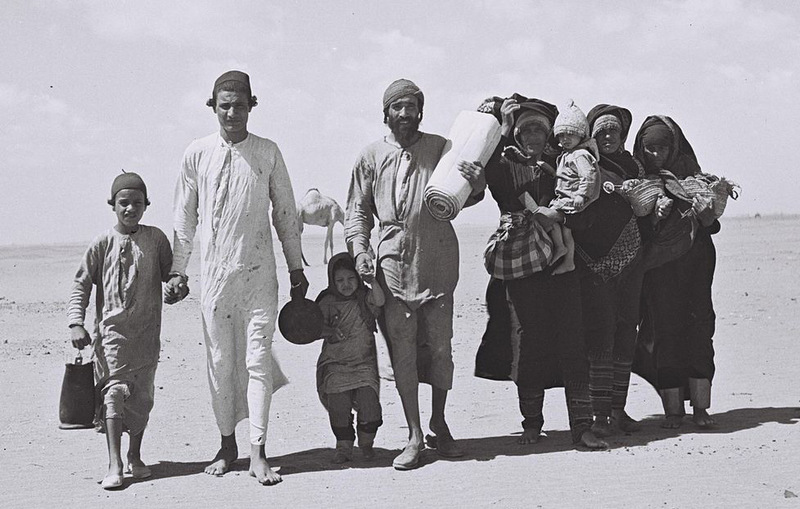 The families of the newly arrived Middle Eastern Jews were not native to Palestine. But then, neither were the families of all Arabs in Palestine. The decades leading up to 1948, peak years of Jewish immigration, saw Arab immigration as well, mainly for economic reasons and much of it undocumented. Some of the Arabs in Palestine in 1948 were natives of the same places as were some of the Jews, particularly Syria and Egypt; anyone around the Haifa port in the 1940s, for example, remembers the workers from Houran, an area in Syria. The point can be overdone, and has been the subject of debate in which numbers have often been used to bolster ideological claims, but it is safe to say that the question of who is native in the land and who is not is more complicated than might at first appear. The name “Israeli” seems to denote something new, and that was the idea: “Israelis” were supposed to be an improved version of “Jews.” But the price paid for that aspirational title was to bolster the argument that Jews were newcomers in this part of the world. It is interesting in this respect that Israel’s enemies have found it difficult to get used to the term “Israelis,” and have generally preferred “Jews.” In his book Hezbollah: The Story from Within, the organization’s deputy secretary-general, Naim Qassem, makes clear that the Jews in Israel are the same ones mentioned repeatedly in the Quran. He cites numerous passages in support of his argument, including this one: “And we decreed for the Children of Israel in the scripture: Ye verily will work corruption in the earth twice, and ye will become great tyrants.” His point is that just as the Jews were once punished by being driven out of the land, so they will be defeated and driven out again. The Hamas charter similarly identifies the Jews of modern Israel with the Jews of Islamic tradition–that is, with the Jews whom Muslims have been meeting around the Middle East since the birth of Islam. Jews are, and always have been, familiar characters in the Islamic world. In that world they were regarded as people who could usually be tolerated if they accepted the dominance of Muslims, but who lacked honor and could not fight. This is important if one is to understand the sense of humiliation in the Islamic world at being defeated militarily by Israel, a much sharper humiliation than being defeated, as Muslims were, by Christian armies. Being beaten by Jews is not like being beaten by the English or the Americans. It is, as we used to say in the schoolyard, like being beaten by a girl. If you visit Cairo today, you can ask directions to an area downtown called the Jewish Quarter, a name it retains despite the disappearance of its Jews. In that quarter, several years ago, I found a man who knew the precise location of one of the Jews’ abandoned synagogues, which he remembered from its days of activity. I had a similar experience in the old mellah of Fez and in the Rif mountain town of Chefchaouen, homes to Moroccan Jewish communities that vanished in the relatively recent past. The flight of Jews from the Islamic world has been forgotten elsewhere, and even the descendants of the emigrants themselves do not, as a rule, think of themselves as refugees or ask for anyone’s pity. But reminders of this exodus, and of the absence of the Jews, are encountered daily by millions in Arab countries. They know who once lived in their cities and towns, why they left, what happened to their property, and where they are now. Presenting Israelis as newcomers is not just an effective way to play on Western guilt over Europe’s supposed transplanting of its Jewish problem to the Middle East. It is a way to expunge the uncomfortable knowledge that “Israeli” is just a new name for old neighbors—and dangerous neighbors, because they have a legitimate grievance that they remember. It is clear to people from this part of the world that one does not forget such things. I believe this is one of the hidden gears of the Middle East conflict, one that remains invisible as long as one regards the history of the native Jews of the region merely as an exotic detail. The state’s founders had wanted to save the Jews of Europe, but Israel had not been created in time to do that. Instead, it ended up saving the smaller but far older Jewish world of the Middle East, to which few of the founders had devoted much thought. They had not been expecting these strange people, who reminded them of a region few of them particularly cared for and which was at war with them. But the state needed citizens, workers, and soldiers, and besides, ingathering the exiles—all of the exiles—was seen as a mission of nearly religious import. The state went to immense lengths to absorb them. The process was made more difficult by the contempt some European Jews felt for Jews from the East, and by the immense cultural gaps that divided the populations. Those gaps were not imaginary. Some of the newcomers did hail from places where standards of living could accurately be described as medieval—even if things were not much better in some parts of Europe, and even if many Middle Eastern immigrants came from places far more cosmopolitan than did many Europeans. One official was of the opinion that the immigrants from Arab countries displayed “mental regression” and “a faulty development of the ego.” “Perhaps these are not the Jews we would like to see coming here,” wrote another, “but we can hardly tell them not to come.” Saying that their absorption succeeded beyond reasonable expectations—as it unquestionably did—is not to deny that it could have been handled far better or that the country is still paying the price for mistakes it made all those many years ago. And today? Ethnic lines are fading in places but are still very much present; social and economic gaps are narrowing slowly but have by no means closed. One recent study found that Mizrahi Jews occupy only 29 percent of managerial positions requiring a university degree, as opposed to 54 percent for Jews of European descent, and that a poor person in central Israel is three times as likely to be descended from immigrants from the Middle East as from Europe. Similar studies abound. At present, most people who can claim to be victims of European male hegemony seem unable to resist the temptation, but it would be a mistake to limit discussion of Mizrahi Jews to that constricted, patronizing category. Rafi Sutton’s father Moshe, who escaped from Syria, reached Israel in 1950 at age eighty-five, and died several years later, felt neither humiliated nor angry but rather convinced he had lived to see redemption. He believed, Rafi says, that David Ben-Gurion was Moses. Like many Aleppo-born Jews I have interviewed, he did not see Zionism solely or even primarily as a modern construct but as the straightforward realization of liturgical passages like, “May our eyes see Your return to Zion in mercy,” recited in prayer thrice daily. Rafi himself, who became an army colonel and a case officer in the Mossad, insists he was never insulted and, when asked, would not list a single complaint. This would seem to be exceptional, but given the solid identification of today’s Mizrahi Jews with the cause of Zionism and the Jewish state, it is perhaps not as unusual as some might think. The academy and the upper echelons of Israel’s political system tend to remain, largely and regrettably, the province of Jews of European descent. But the fabric of everyday life is otherwise. To draw an example from the world of pop culture: Israel’s music TV station, Channel 24, is dominated by the genre dubbed Mizrahi, a blend of Middle Eastern and Greek influences that has become the country’s signature musical style and whose fan base is by no means limited to Israelis of eastern descent. Most of it is dreadful, though no more so than popular music anywhere else, and it is markedly better-natured than much on offer from its American equivalents. Aesthetically, many of the videos are not especially different from what one sees on Arabic music channels elsewhere in the region. Most of the songs are about romantic love, of course, but in this genre it is wholly permissible to devote earnest love songs to God or to your mother, two subjects that in the West are quite off-limits to pop singers (except in country music). This reflects the fact that personal and family ties in Israel operate largely according to Middle Eastern norms. If, in the modern West, loving one’s mother after age twelve or so is something you’re not supposed to be vocal about, in the culture of modern Israel things are the other way around: if you do not love your mother and phone her regularly, there is something wrong with you. Speaking loudly, affectionately, and respectfully to her on a cellphone in public at age thirty-five, far from contradicting a macho persona, is a necessary component of one. Israel’s prevailing ideas of family, hospitality, friendship, and accepted degrees of warmth in normal personal interactions—as in the amount of male cheek-kissing in some of the military’s toughest combat units—share the same Middle Eastern origins. One can only be thankful that this is the case. Certain human qualities (like guilt, for example, and self-deprecating humor) that American Jews, being still linked to the world of Europe, consider to be intrinsically Jewish, are absent here. Beyond mainstream pop, the country’s soundtrack is being altered by other Middle Eastern sounds as well. The rock singer Dudu Tassa released, to considerable acclaim, an album of songs by the great al-Quwaiti brothers of Iraq; the brothers were Jews and one of them, Daoud, was Tassa’s grandfather. The local indie music scene has recently produced Riff Cohen’s irrepressible North African-influenced music in French and Hebrew, and also the band Yemen Blues, whose exceptional sound is insufficiently hinted at in its name. On the more classical end of the scale, ensembles like the New Jerusalem Orchestra and the Andalusian-Mediterranean Orchestra (whose musicians are as likely to hail from the former Soviet Union as from the Middle East) have become known for fusing Middle Eastern melodies with jazz and symphonic composition. A renaissance in the eastern Jewish liturgical tradition of piyyut, performed by such masters as the Moroccan-born Rabbi Haim Louk, has attracted pop singers like the mainstream rocker Barry Sakharov. All this would have been unthinkable even ten years ago. At the root of the eastern music phenomenon is not an orientalist interest on the part of Europeans but a new willingness on all sides, including among formerly alienated “returnees” from the Mizrahi world itself, to explore and to integrate this part of the native culture of the citizens of Israel. And music is just one example of the process; similar instances can be found in areas of cultural and national life from literature and painting to cuisine and from religion to politics. These last two, religion and politics, merit a brief discussion of their own. When it comes to the religious life of the country, a misfortune visited upon Israeli Judaism was the modern and Western idea that one is either “religious” or “secular,” a distinction that never existed in the Jewish communities of the East. There, Jews were bound to an inescapable but flexible amalgam called “tradition.” One could not leave tradition, but there was room for movement within it. In Rafi Sutton’s Aleppo, even the wives of chief rabbis did not cover their hair, and though most men were ritually observant, no one wore a skullcap or any other visible sign of Jewishness in public. The fact that a sizable number of Israelis still cling to the idea that one is either “secular” or “religious” makes it difficult to perceive that much—perhaps most—of the country answers to neither definition. In a recent poll, 43 percent of Israeli Jews categorized themselves as “secular” and 32 percent as “traditional,” but, confusingly, fully 80 percent said they believed in God and 72 percent in the power of prayer, and 66 percent said they light candles on Friday night. Rafi, for one, does not observe most religious laws but was insulted when I suggested that he was “secular.” In a traditional eastern family in Israel, you might follow a Sabbath dinner on Friday night with a soccer game, or attend synagogue on Saturday morning and then go to the beach. Tradition is not something you must take or leave, but something in which you live to the best of your ability in different ways at different times. The idea of a deep religious identity combined with a deep religious flexibility has yet to find coherent public expression in Israel. In politics, the primary representative of Middle Eastern Jews has instead been the Shas party, which has steered many away from the mainstream into an ersatz form of Eastern European ultra-Orthodoxy, and therefore also from productive work and service into a dead end of insularity and government handouts. Rafi believes Shas to be “the worst disaster ever to befall the Mizrahim.” In the last national election, a renegade Shas rabbi, Haim Amsalem, tried to start a new party with a relatively moderate platform. Insisting in a newspaper interview with me that stringent Jewish observance by no means contradicts joining the workforce or the army, he said that his views were inspired by those of his father, David Amsalem, a rabbi in Morocco and Algeria, and also reflected what he saw as the true teachings of Rabbi Ovadia Yosef, the most important Mizrahi religious figure of the last century. Yosef himself, who died last year, was a complicated and often contradictory character who will be remembered both as a Jewish scholar of genius and considerable flexibility, and as the person responsible for the rise of Shas in Israeli politics. With Yosef’s blessing, Amsalem was excommunicated from the party, and though his splinter faction gained significant attention it failed to win enough votes to gain a seat in parliament. And yet the idea of “tradition” in the old eastern style remains widespread and is becoming influential in non-Mizrahi circles as well. 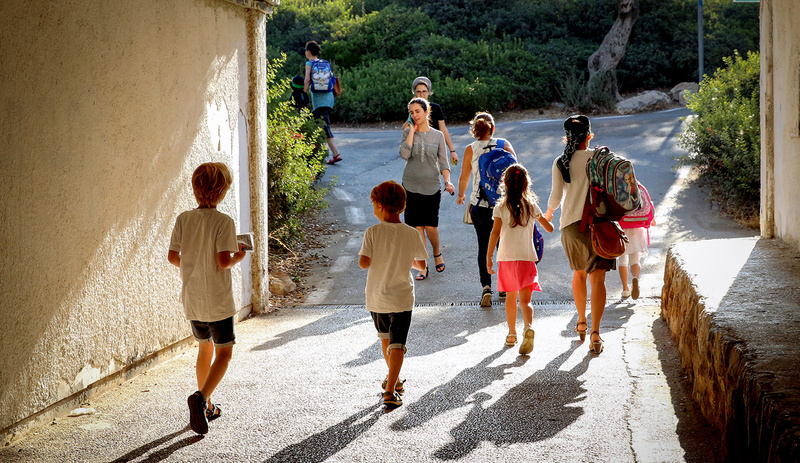 Last summer, a journalist for the national-religious newspaper Makor Rishon noticed that many of her friends were texting on Shabbat, looked into the phenomenon, and discovered young Ashkenazi Israelis from modern-Orthodox homes who were looking to identify themselves as masorti, “traditional,” a term that in Hebrew refers specifically to the moderate style of Judaism practiced by many eastern Jews. “Maybe a new kind of observance is coming into being under our nose,” she wrote. This is possible. In Israel, the liberal streams of Judaism familiar to Americans are seen as foreign and quite irrelevant, a result in part of the relatively small number of their adherents who have immigrated to Israel. But masorti in the eastern style is seen as an authentic Israeli identity, and its increased adoption may be another product of the creeping admiration for eastern Jews on the part of Israelis of European descent. “Cool” does not get measured in polls but is nonetheless worth noticing. If being Mizrahi was once uncool, that is no longer the case. A young man told me he would never call himself a Conservative or Reform Jew because he does not “speak with an American accent.” But he did not see why he had to suffer religious rigidity merely because his grandparents were from Europe, and so he identifies himself as masorti. In politics, finally, with the notable exception of Shas, eastern Jews in Israel have not acted in concert as a bloc of voters any more than European Jews, and politicians of Middle Eastern descent are represented across the political spectrum. Still, it is accurate to say that most Mizrahi Jews have generally been stalwarts of the Right. This has been true since the era when the old Labor establishment tended to treat them with condescension while Menahem Begin’s Herut, the precursor to the Likud, did not. Their affinity for the Right also has much to do with personal memories of displacement by Muslims, and with a sense of the way things work in the Middle East. That sense tells you that words spoken by opponents are not important and promises not to be trusted, that you do not easily give up things that are yours, and that if you do, you should expect not a grateful and reconciled adversary but scorn and further exploitation. To anyone convinced that Israel’s war with its neighbors will end in a reasonable compromise, such stubbornness must seem lamentable. If, however, one understands the conflict as a test of wills that will go on indefinitely, and in which Israelis are outnumbered by people of admirable persistence and patience, one develops a greater appreciation for those on one’s side who are unapologetically rooted in their own identity, have no illusions about their enemies, and are quite indisposed to giving up. Taking Rafi Sutton as an example of this approach, I would describe his position as pessimistic without being ideologically inflexible. After the 1967 war, as an intelligence officer in Jerusalem, he believed that Yasir Arafat was threatened more by Arab governments than by Israel. Acting on this belief, he managed to open a channel to the Fatah chief through a middleman who assured Arafat that Rafi, “an Arab like us,” was someone with whom certain arrangements could be made. Arafat wanted to talk. But Rafi’s superiors, who did not want to lend legitimacy to a terrorist, vetoed the idea. Their thinking, Rafi says, was “typically Polish.” And yet, at the same time, he himself believes no Palestinian leader will ever sign a peace deal with Israel on any terms, for the simple reason that doing so would make him a traitor to the Palestinian cause—that cause being the destruction of Israel—and would be certain to get him assassinated like the first King Abdullah of Jordan or Anwar Sadat of Egypt. In Rafi’s view, the recent U.S. effort to engineer a quick peace deal is “idiotic,” because such a deal is impossible. This skepticism is not an extreme position and has nothing to do with the messianism of the religious settlement movement, an Ashkenazi affair with which eastern Jews have always had a complicated relationship (and where they have not always been welcome). It has been vindicated in the eyes of most Israelis and is, I believe, the country’s dominant political sentiment at the moment. What does the future look like? Thanks to intermarriage between Mizrahi and Ashkenazi Jews, and to the increasing openness of the Israeli mainstream to Mizrahi religious, political, and cultural norms, I believe it is fair to predict an accelerating erasure of the ethnic divide. But I do not want to exaggerate: that divide remains deeper than many Ashkenazi Israelis would like to think, and its disappearance is still many years away. Such things take time. In Aleppo, it was generations before the exiles from Spain after 1492 melded into one community with the city’s native Arabic-speaking Jews. Working in Israel’s favor in this respect is the fact that Israeli society is strikingly fluid; dramatic and rapid change is possible here as it isn’t in more staid places. The challenge is to stop picking at the scabs of the past and to stop seeing the national project through the lens of old dividing lines: left vs. right, religious vs. secular, Ashkenazi vs. Mizrahi. Though the political system and many intellectuals have yet to catch up, most Israelis now exist somewhere in the middle. Instead of ignoring the reality, let alone bemoaning it in light of some imaginary past of khaki shorts and songs around the Palmah campfire, wise statesmen and thinkers should be considering how to forge, from all of our society’s constituent parts, the second phase of Israel’s national existence, the phase that comes after the expiry of the founding generation. Those constituent parts are, of course, a source not only of potential comity but of tension and fractiousness, so it is fair to question whether the necessary trick can be pulled off. Anyone considering what has been achieved over the past 66 years has reasonable grounds for optimism. In Aleppo, Mizreb’s delicatessen is gone. Rafi’s old school and synagogue are gone. Jewish Aleppo is gone. Now much of the rest of Aleppo is gone as well. The Suttons, however, are alive and well: Rafi and his wife Rina, who hails from another Aleppo family, their three sons, all of whom are in Israel, and their eight grandchildren. When Rafi and the other Jews of the Islamic world arrived here after 1948, they found themselves in what was still a European project. But if they joined the world of European Jews, the European Jews of Israel simultaneously, and unwittingly, joined theirs. The new identity known as “Israeli” is a product of that meeting. This is what is not noticed by many observers, even the knowledgeable among them—and even the Israelis among them—who, it sometimes appears, see one country out their window and then sit down and write about another country entirely. As a result, they are left with stale ideas and an out-of-date story that is increasingly useless in explaining the country as it exists right now. They miss the lively and potent fuel that drives the place, and they underestimate its resilience. The construction of the state of Israel, in which Mizrahi Jews have been partners of numeric equality (if not other forms of equality) for over 66 years, provided the stateless Jews of the Middle East with self-determination in their native region and turned them from an endangered minority into half of a majority. Other religious minorities under Muslim rule—the Zoroastrians, Baha’i, and Christians come to mind—are in danger of extinction. Because the Jews have a country, they have been spared that fate and shielded from the savagery now unfolding in places like Aleppo, which would have made them one of its first targets had not an earlier and comparatively milder incarnation of the same savagery driven them out long ago. Whatever its faults, the country they helped build has given them, and the rest of us, a prosperous home, and within two or three generations has catapulted them far beyond the condition of the people they left behind. The form that the Jewish presence in this region has taken—national sovereignty—is unprecedented. But if we place the story of the Jews of Islamic countries at the center rather than at the margins of our consciousness, we see that Israel represents a continuation of the past as much as it does a break with it. We Israelis are Jews in the Middle East. That we are free, safe from persecution, and in charge of ourselves—these things are new. But that we are here? There is nothing new about that at all. By winning wars and becoming sovereign, the Jews of the Middle East have inverted the regional order of things, and been spared the fate of other native minorities. 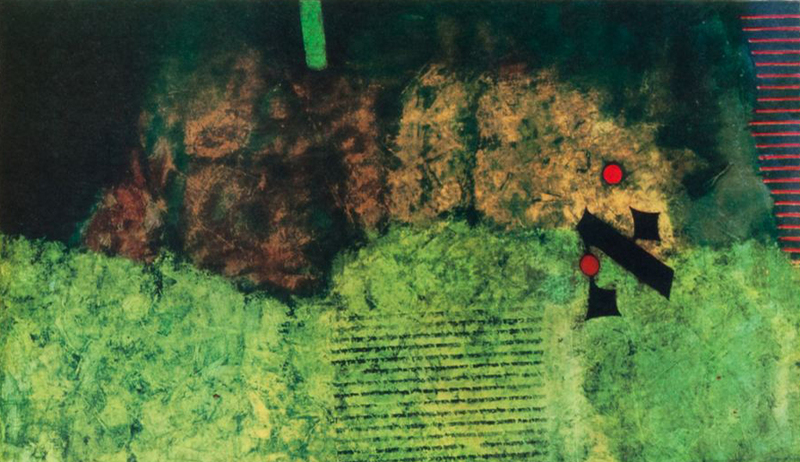 Is hyper-intellectual expertise in Talmud the paramount Jewish ideal? Middle Eastern scholars see things differently. Most of the region’s residents have no idea that Jews once lived among them. Virtually all signs of Jewry there have been erased.